DALLAS—The raw racial wounds that go to America’s core were exposed with the back-to-back shootings of two Black men captured on video and the killings of five police officers in what authorities called a revenge attack for the failure to stop the killings of Black people. While the family members of alleged cop killer Micah Xavier Johnson apologized for what police officials said he did, which was allegedly kill officers from a sniper position following a Black Lives Matter march, and expressed sorrow over his death, the nation’s racial divide was more than clear. His mother said her son was a different person, “a hermit,” after serving in the U.S. military. “Delphine Johnson, the gunman’s mother, said she watched her son transform from a fun-loving extrovert into a ‘hermit’ after his military service, which spanned roughly six years and included a seven-month deployment to Afghanistan. While the parents couldn’t recall their son mentioning any particular incident that may have been traumatic during his time as a U.S. Army reservist, they agreed something had changed,” reported The Blaze, an online publication associated with conservative Glenn Beck. Protesters in downtown Dallas evacuate during a sniper attack. According to the former soldier’s father, his son began to study Black history and learn more about his history. “The family members said Johnson never showed any outward signs of hatred for White people or any other racial groups. Johnson’s stepmother, Donna, is White. What he did hate was ‘injustice,’ Delphine Johnson said,” according to The Blaze. Police said the former U.S. serviceman wanted to kill White people, especially White police officers, and did. The fatal shootings followed the videotaped deaths of Alton Sterling, shot to death by an officer in Baton Rouge, La., while selling CDs and Philando Castile, shot in the chest during a traffic stop with his girlfriend Diamond “Lavish” Reynolds telling the story of what happened outside Minneapolis, Minn., over Facebook Live. As blood seeped from her boyfriend’s chest, her little girl tried to comfort the distraught mother from the backseat of the car. It appears that Micah Xavier Johnson’s mind could no longer process the thought of more of his people dying, adding to an already long list of those who have lost their lives at the hands of police officers. With this in mind authorities believe Micah Johnson targeted White officers from a downtown Dallas parking garage, killing five officers and injuring seven people the evening of July 7. According to the Dallas Police Department, Mr. Johnson was killed by a robot bomb as negotiations with him became unproductive. Dallas Police Chief David Brown (L) and Dallas Mayor Mike Rawlings (R). “The suspect said he was upset about Black Lives Matter, he said he was upset about the recent police shootings, the suspect said he was upset at White people, the suspect said he wanted to kill White people, especially White officers,” Dallas Police Chief David Brown said of Micah Johnson, as he read slowly and somberly from his prepared statement to the media assembled at Dallas City Hall on the morning of July 8. Chief Brown added that Mr. Johnson said he was not affiliated with any groups and that he acted alone. One of the persons named early on as a suspect was Niecee Cornute. She was presumed to have been the female suspect that Mayor Mike Rawlings declined to describe to media outlets. She said she was detained and questioned for close to five hours without being allowed to have outside contact. 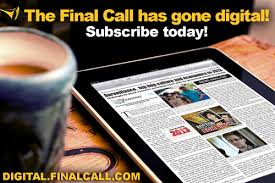 She spoke exclusively to The Final Call. Moments before the gunman (L) guns down a Dallas Police Officer (R). “I and my comrades went to rally for the brothers who had been killed by the police on Thursday, July 7. I heard the shooting start and began to take my phone out and record it. At that time police saw me and told me put my hands up and get on the ground, saying I fit a description of a suspect who was a light-skinned Black female with camouflage pants on, and they took me down to headquarters as what they called a witness, illegally detaining me there,” said Ms. Cornute. As a community organizer and revolutionary Cornute said while the shootings had nothing to do with her, Black people have a right to exist. It is crazy to think people would not be angry with 260 killings of Black people by the police this year with little to no punishment or indictments, she said. The supposed last words of Mr. Johnson caused others to try to look deeper into the mind of a man that America’s savage racism and murder of Black people seemingly affected and enraged. The militarily-trained Johnson was a former U.S. Army reservist honorably discharged in 2015. High school classmates remembered him as a “fun-loving, goofy guy,” according to the Wall St. Journal. A few people who knew Mr. Johnson and who shared similar views about the need for Black liberation told The Final Call, “he was a regular dude, a good dude, a real dude who would joke with you but was serious about the rise of his people.” They spoke with the newspaper on condition of anonymity. They gave interviews around the same time as public statements were made by the Johnson family. They attended community events together, discussed the plight of Black people and were concerned about the deaths of Blacks at the hands of police officers—with virtually no one held accountable. 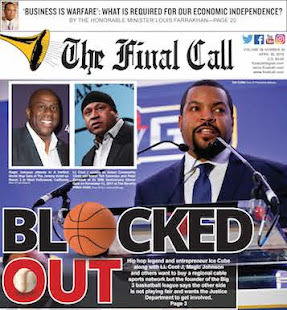 “I think that he believed that this was his Nat Turner moment and that he saw no other way,” concluded one of the men in the interview with The Final Call. Nat Turner was a slave who led a bloody revolt in Southampton, Va., in 1831. It struck terror in the hearts of Whites across the South and a brutal, bloody backlash against slaves. The man said he never had any discussion with Mr. Johnson about armed struggle or racial retaliation. But the actions attributed to Mr. Johnson by the authorities led the man to believe that Mr. Johnson might have acted against police. Though they knew nothing prior to the attacks, they were not surprised the Dallas shootings happened. With the number of Black people killed by White officers and the continued deaths of Blacks without any charges, convictions or punishment of officers, it should not be surprising that an armed response came from a Black man, they said. While Chief Brown touted what he called policing reforms, others said Dallas still has its own problems with policing and racism. “The same city (Dallas) didn’t let Martin Luther King in in ’66; the same city that murdered Tobias Mackey and Xavier Collins in 2010 and had to pay $900,000, these are the conditions that created Micah, we cannot forget such conditions that created him,” said grassroots organizer Yafeuh Balogun of the Huey P. Newton Gun Club. Dallas remained tense after the shootings, with a lockdown of police headquarters and President Barack Obama and former President George W. Bush scheduled to speak in Texas as The Final Call went to press. The president roundly and loudly condemned the killings of the police officers. He also expressed concern about police shootings. Across the country demonstrators took to streets after the Dallas shootings and just before it: In Minneapolis, St. Paul and Atlanta, hundreds of protesters shut down highways. In London, a large group of protesters brought the streets of the city to a standstill, forcing traffic to other routes for hours. Demonstrators gathered in Los Angeles some 2,000 strong and Chicago protestors July 11 took to downtown streets to disrupt traffic and trade. Days earlier they protested at the popular Taste of Chicago downtown tourist event. In Los Angeles, rappers The Game and Snoop Dogg rallied July 8 with more than 100 men, primarily Black and Latino, including street organization members, outside LAPD headquarters, before meeting with Chief Charlie Beck. Hip hop guru Russell Simmons said in a Facebook video that he wanted to work with Snoop, The Game, Kam and the Nation of Islam to develop the 10,000 Fearless that the Honorable Minister Louis Farrakhan called for to end violence and make Black communities decent places to live. 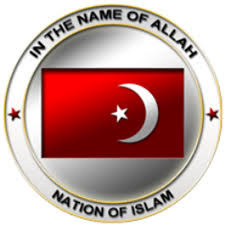 The Nation of Islam and Fruit of Islam Capt. Dennis Muhammad in Columbus, Ohio and founder of The Peacekeepers can help with this effort, he said. They can help protect the community from crime and from bad cops, Mr. Simmons added July 9. Mr. Simmons also plans to speak to Black law enforcement executives in working to get police sensitized and under control. “I think we are going to get between the guns and the gangs, and the guns between the police and the people and we are going to need strong Black men to do that,” said Mr. Simmons. “I want to thank Minister Louis Farrakhan, for putting the spirit in me to do what I am supposed to be doing,” added Snoop Dogg. Meanwhile in Dallas, those once called suspects have been let go but found it hard to return to a normal life. Some early media coverage blasted their names and pictures to the general public—with little explanation and no exoneration. Ms. Cornute said despite her and others being wrongly identified, her work must continue. “I heard one of the other so-called suspects was recently ambushed by a group of White supremacists because, like me, his face has been blasted all over the internet and the media,” she said. It may be popular to distance between activists and “revolutionary violence,” she continued. Yet everything else has been tried and “they continue to perpetrate evil and murder on our community. We will stay on the path of African liberation working against White Supremacy economically, physically, mentally, politically, and spiritually, I believe they are all imperative to gain our liberation,” said Ms. Cornute. “Are we processing that none of the people were really engaged in an activity that even justified having a police encounter of the type that would lead to your death?” asked Dr. Ava Muhammad, an attorney and student national spokesperson for the Honorable Minister Louis Farrakhan. 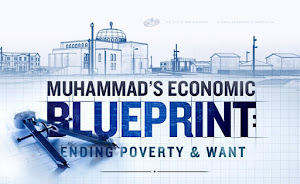 Change will come when people follow the divine guidance and instructions of Minister Farrakhan. 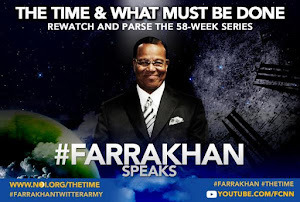 “The Honorable Minister Louis Farrakhan warned Black people during the Justice or Else! tour that we are under chastisement as a people … because as a people we have rejected God’s plan for our salvation,” she stated. That plan, according to the teachings of the Hon. Elijah Muhammad is divinely-ordered separation, in fulfillment of biblical and Quranic scripture. “That plan is a complete separation. That plan is for us to go for self, and he did not leave us without very precise, very specific, very clear guidance as to how to execute that plan,” said Atty. Muhammad. She recalled Min. 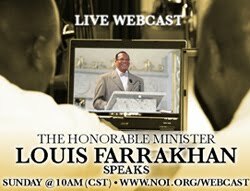 Farrakhan’s call for 10,000 fearless Black men and women to go to work to make their neighborhoods decent, safe places to live. “That is the beginning of the separation process, of going for self. 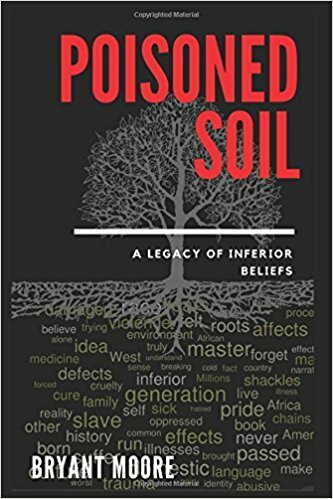 It begins with coming together in small clusters and enclaves as every other group of people on earth does in what we call neighborhoods,” Dr. Muhammad told The Final Call. Those actions naturally produce stores, schools, places of worship, businesses, she said.